StoneCoat is a highy engineered and tested concrete coating that is cast 1/2" thick over an EPS core to create a revolutionary lightweight cast stone product. 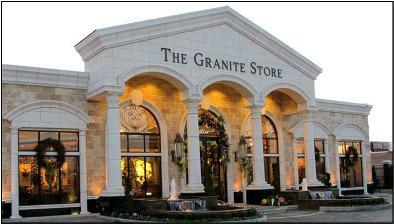 StoneCoat Cast Profiles offer the aesthetic of limestone, cast stone, or GFRC at a significant cost savings. Because StoneCoat cast profiles are 10-15% the weight of cast stone, savings can be realized in reducing steel required in the wall cavity, connection details, and additional framing that is required by traditional cast stone and GFRC. Click here to learn more about StoneCoat Cast Profiles. 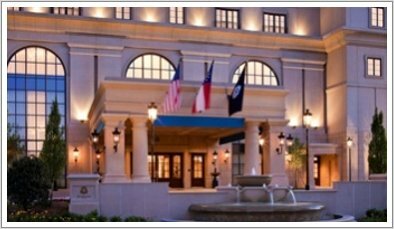 StoneCoat Panel Systems are composed of metal studs, sheathing, airweather barrier, wire lath and a 5/8" thick StoneCoat SPS coating. At 15% the weight of a 6" thick pre-cast panel, StoneCoat Panel Systems are a great alternative to traditional Pre-cast panels as large savings can be realized in the reduction of structural steel on the building. StoneCoat Panel Systems provide the durability and aesthetic of Pre-cast panels at a fraction of the overall construction cost. Click here to learn more about Panel Systems. Lightweight Stone Concepts offers a variety of plaster products that can be hand applied to create a myriad of different finishes applied over most building claddings. Quarry Plaster is designed to create a field applied quarried stone aesthetic in an endless array of colors and textures. VersaPlaster is designed to create traditional plaster finishes from all areas of the globe. 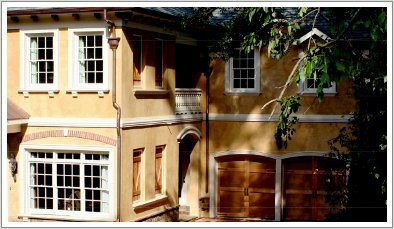 Stucco Supreme is specifically formulated for use over AAC. Click here to learn more about Plaster Products. Lightweight Stone Concepts offers tradional wet cast Architectural Pre-cast made to PCI standards as well as dry cast cast stone. 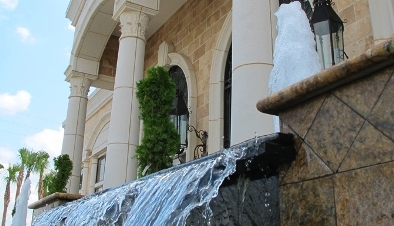 We specialize in medium size pre-cast panels, fountains and security products. Our Pre-cast manufacturers also fabricate GFRC and StoneCoat allowing consistent color and texture between the 3 products. We also have a full catelog of planters and fire places. Click here to learn more about Architectural Pre-cast. Glass Fibered Reinforced Concrete has an excellent track record in the construction industry providing a light weight and durable alternative to lime stone and cast stone. Lightweight Stone concepts is proud to offer a full range of GFRC products including intregal engineered framed systems. 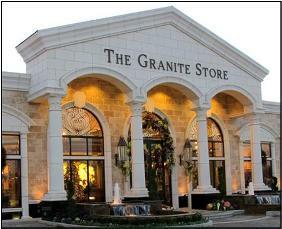 GFRC is an excellent product for columns, cornices and panels were weight and durability is a concern. Click here to learn more about GFRC. Lightweight Stone Concepts represents several leading manufacturers of FRP, HDP and PVC architectural building elements. These products are ideal for cloumns, domes and cornices where weight and size are a major isssue. FRP is available in a paintable finish, precolored finish and a sandblast finish designed to mimic a light sand blast finish common to Architectural Pre-cast. Click here to learn more about FRP.